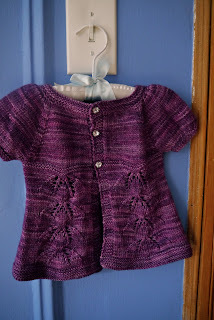 Or perhaps the title of this post should be, start blogging some knitting again, damnit! Very well--here's a little something springy to look forward to. 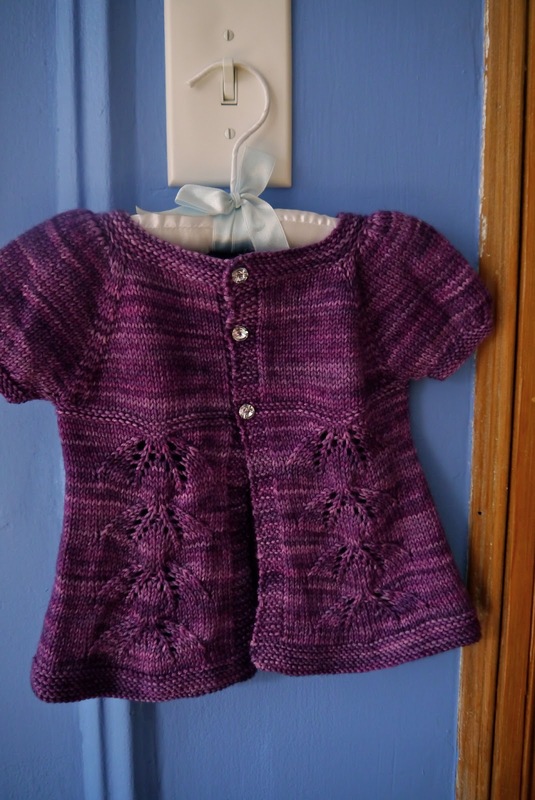 This is the Olivia Cardigan, knit in Malabrigo Arroyo (and oh, what a joy that was!) on US 5. 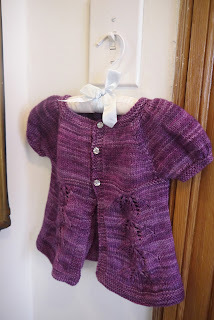 It's a simple raglan-sleeved cardigan, though I am particularly proud of the puffs--I got them just as big as I wanted them, but so big you couldn't walk through doors, a la Anne of Green Gables. Willow's friend Olivia is a fashionista who would never go anywhere without her snazzy shades, and a puff-sleeved, swingy cardigan complete with rhinestones is exactly her style. 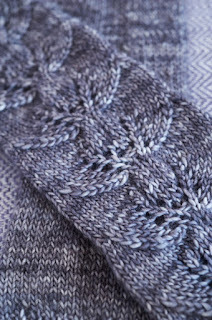 I realized halfway through the belled out leaf motif that the reason it was knitting so smoothly is that I've used it before--yep, there it is on the legwarmers in What To Knit When You're Expecting. I thought about ripping back and changing it, but the thing is, I chose that lace pattern (twice) because I really like it. It's so stylized--it doesn't really look like a leaf, but it gives you a hint of leaf. And it gave me just the look I wanted for Olivia, so I decided to keep it. 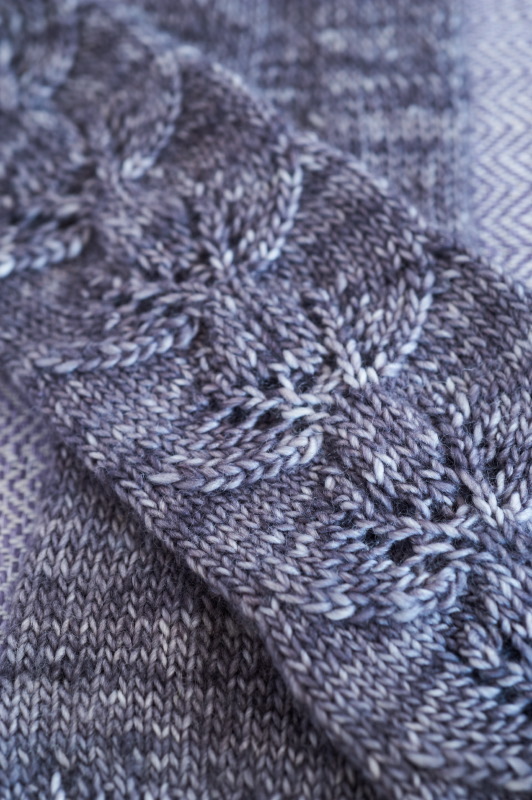 The flare in the skirt increases around the leaves, as opposed to just at the sides, as say the Maile Sweater or Autumn Leaves do. It's hard to tell on the hanger, but the effect is much swingier. It's beautiful. Can't wait to find a little fashionista to make it for. It's lovely. Would love to test for you.